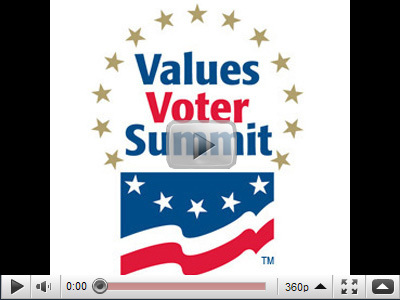 Every October — for the last 13 years — FRC Action has hosted the Values Voter Summit. It is one of the premier gatherings, if not the most important, of annual, must-attend events for conservative voters and policy makers alike. Not only do thousands of informed, Christian conservative activists attend, headline makers from Capitol Hill and other walks of life address attendees amongst great gobs of media as well. To suffice, it's a must-do on the political calendar, and its sponsors include The Heritage Foundation, AFA Action, American Values, Liberty University/Liberty Council and Family Research Council. But if you could not attend, fear not. The summit is archived online. It is free and includes remarks by conservative movement leaders and luminaries, including our Gala speaker, U.S. Senator Ted Cruz of Texas. If you missed him in Richmond, see him online. Senator Cruz was greeted very warmly at the summit, just as he was here, and also protested by left-wingers (see GOPUSA.com), just as he was here, proving at once that the Left is unrelenting and that Senator Cruz poses a threat to it. Other prominent speakers include U.S. Senators Rand Paul of Kentucky and Mike Lee of Utah, Dr. Ben Carson, and radio talkers Glenn Beck and Mark Levin. Just click the image below, then click on the speakers you want to see. It's that simple. Choose from among the speaker archives and sit back in the comfort of your home and hear and learn what some of the most influential thinkers and policy makers have to say about the state of our nation, our future, and what Christian conservatives can do to shape both. Attend the Values Voter Summit — virtually — to hear an all-star lineup of conservative leaders speak.